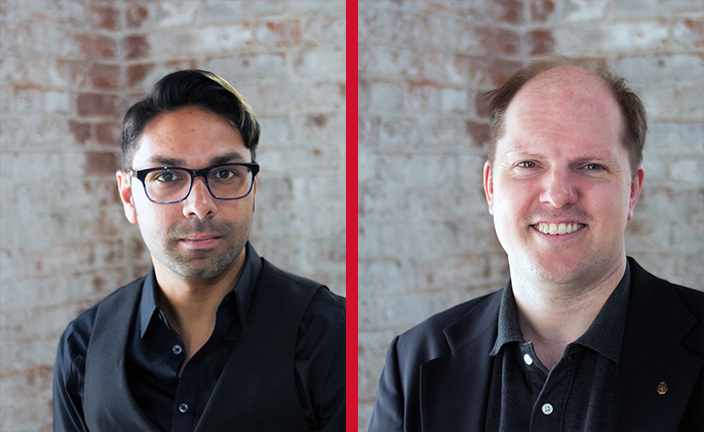 LLB Architects is pleased to announce that Neal H. Bijlani, Director of Design Technology, and Jonathan M. Taylor, AIA, NCARB, LEED AP have been named Associates in recognition of their significant value to the continued growth of the firm. Neal Bijlani graduated with a Bachelor of Science in Architecture from the Georgia Institute of Technology. Since joining LLB Architects in 2005, he has been instrumental in strengthening the firm’s architectural digital practice. He has also served as the primary engineer for the development of the technological infrastructure needed to support the firm’s Facilities Assessment Solution, a space inventory and building assessment service. Neal resides in Providence. Since joining LLB Architects in 2011, Jonathan M. Taylor, AIA, NCARB, LEED AP has demonstrated his skill at coordinating large-scale, complex projects and programs. He graduated from Syracuse University with a Bachelor of Architecture, and a minor in architecture history. Projects he is currently working on include Commonwealth Landing in Fall River, MA, renovations at Bryant University in Smithfield, RI, and residential hall renovations at Brown University in Providence, RI. Past projects include Thayer Homestead in Medway, MA and the Physician Assistant Learning Center for Bryant University in Smithfield, RI. He and his wife Kelly L. Swan Taylor, Esq. reside in Providence. Neal and Jonathan join Senior Associates Aimee Goodwin Lombardo, AIA, NCARB, LEED AP BD+C and Suzanne DiSalvo, Assoc. AIA, LEED AP in contributing to the continued growth of the firm.